Since Aristotle, there has been an assumption that narrative is a representation of actions or sequences of events, that this representation aims to elicit emotions, and that well-formed narratives constitute a whole, with a beginning, a middle, and an end. The nature, role, and relative importance of constituent notions like “sequence of events” and “plot” have been discussed repeatedly and, as a result, have become rather slippery. 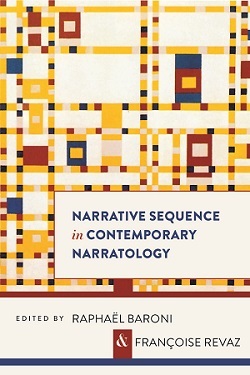 While recent developments in contemporary narrative theory, such as unnatural, transmedial, cognitive, and functionalist narratology, shed new light on these notions, Narrative Sequence in Contemporary Narratology goes beyond specific approaches to narrative, illuminating sequence and plot in all the diversity of their manifestations, forms, and functions. This volume, edited by Raphaël Baroni and Françoise Revaz, includes contributions from some of the most influential scholars in narrative studies: Alain Boillat, Peter Hühn, Emma Kafalenos, Franco Passalacqua, James Phelan, Federico Pianzola, John Pier, Gerald Prince, Brian Richardson, Marie-Laure Ryan, Eyal Segal, and Michael Toolan. Essays range in focus from musical narrativity and rhetorical narrative theory to comic strips and re-examinations of classical and postclassical narratology. All of the essays contribute fresh understandings of foundational concepts in the field of narratology. Raphaël Baroni is Professor of French at the University of Lausanne’s School of French as a Foreign Language in Switzerland. Françoise Revaz is Professor of French Linguistics in the Department of Languages and Literature at the University of Fribourg in Switzerland.